Last night was a great night for the aurora. Even a little purple just before dawn. Check out the archived time-lapse video here. The current auroral activity is very high. Though the forecast is for mostly couldy tonight it looks very cloudy outside. 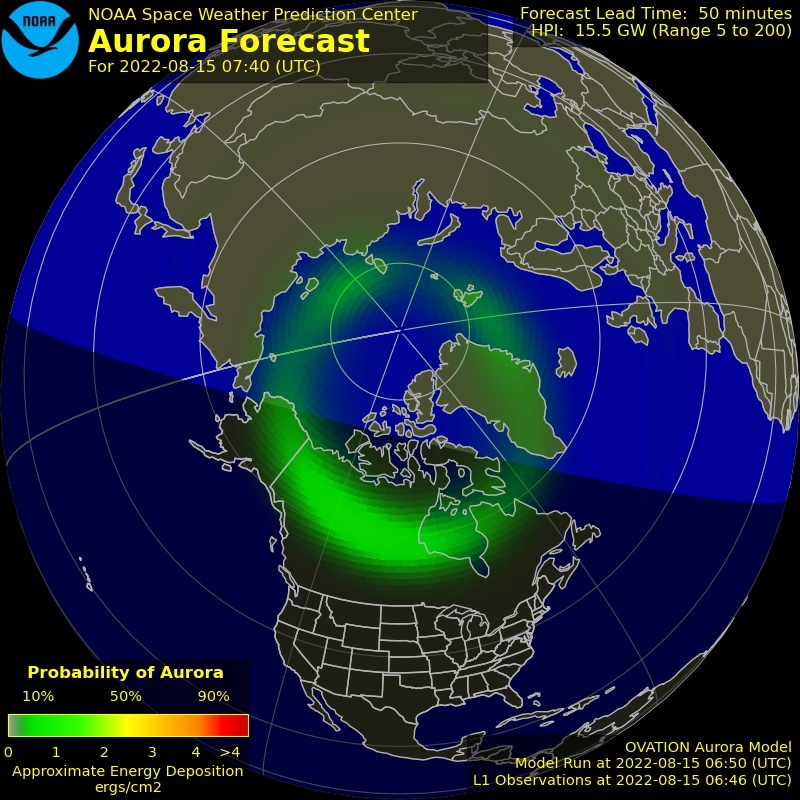 The aurora should be strong enough to see a glow behind the clouds though. Lets hope we get a break in the clouds. Here is a few pics of the current activity.